The notion of a world where humans and robots coexist is the stuff modern day science fiction is made of. Quantum leaps made in the field of robotics and AI have given us a glimpse into this possible future. Of all the robots conceived by the ingenuity of man’s will and vision, humanoid robots have a special place. Unlike their other AI brethren these robots are specifically designed with the intention of achieving the closest semblance to human beings. Not limiting their “humanity” to sheer physical likeness, creators have equipped them with skills that are a testimony to the innovation that their development is capable of promoting. 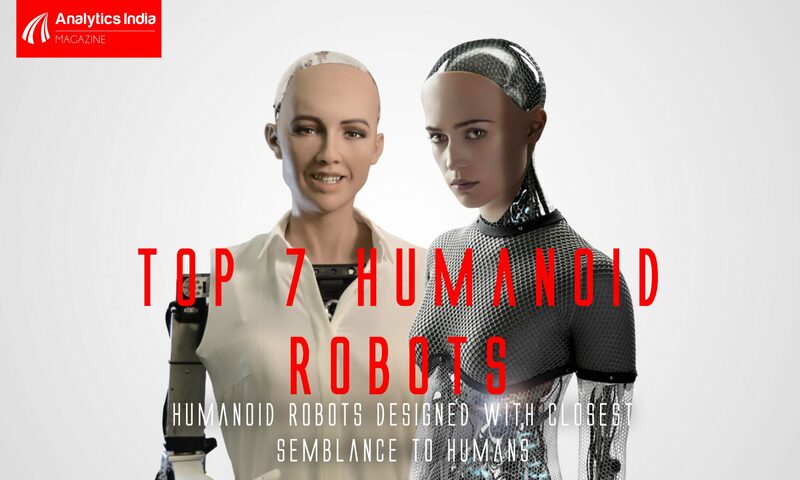 AIM brings you seven humanoid robots that are driving innovation. A bimanual underwater humanoid robot created by the Stanford Robotics Lab to explore coral reefs, Ocean One can reach depths that most human beings cannot. It is a perfect synergy of robotics, haptic feedback systems and artificial intelligence. Its design features two fully articulated arms, eight multi-directional thrusters and stereoscopic vision. Unlike the usual custom of water-proofing electronic components to avoid air seepage due to underwater pressure, Ocean One’s electronics are submerged in oil. This helps counter the massive pressure exerted on it at great underwater depths. What makes this ‘robo mermaid’ different from other bigger and bulkier remote operated vehicles (ROV) in existence is its anthropomorphic design similar to that of a real human diver which greatly improves its maneuverability and navigational capabilities. In 2016, Ocean One dove 100 meter below the Mediterranean sea and explored the wreckage of La Lune, the flagship of King Louis XIV France that sank off the southern coast of France in 1664. Described as “the world’s most dynamic humanoid” by its creators, ATLAS was unveiled in 2013. It was built to carry out search and rescue missions and was developed by Boston Dynamics with funding and supervision from the United States Defense Advanced Research Projects Agency (DARPA). It can navigate its way through tough terrain and obstacles in its path using its range sensing, stereo vision, and other sensors. An upgraded version, ATLAS Unplugged was unveiled in 2015 and was equipped with features and upgrades that the designers claimed made it nearly 75% different from the original ATLAS. The agility and maneuvering capabilities of a more advanced version of the robot can be seen in a video released in November 2017, where it is shown leaping from one platform to another and performing backflips. At just 5 feet tall and almost 74 kilos, this design is considerably smaller than its predecessors. Imagine a soccer match with adorable baby-sized robots on both sides. Sounds cute, doesn’t it? Nao, the 23 inch robot has an entire event, RoboCup Standard Platform League, dedicated to it as a part of Robocup. It was originally developed by the french robotics company, Aldebaran Robotics,and the production version was launched in 2008. After making its debut at the RoboCup in 2008, it completely replaced Sony Aibo that were previously used for the soccer event the following year. NAO’s makeup comprises of motors, sensors, and software powered by NAOqi — a dedicated operating system. It can be personalised using the Choregraphe software. There is no dearth of humanoid robots that can be programmed for multiple purposes. But the global adoption of Nao in over 70 countries, especially for academic and research purposes, makes it a leading robot for the purpose. One of the most special applications that Nao has seen is in the education of autistic children. It has even made an appearance in premier Indian institutions such as IIT Allahabad and IIT Kanpur. Aldebaran Robotics who invented Nao was acquired in 2015 by SoftBank Robotics and now produces the robot. Protection Ensemble Test Mannequin or ‘Petman’ for short, is another creation by Boston Dynamics. It was funded by US Department of Defense’s Chemical and Biological Defense program,and was developed to test biological and chemical suits for the US military. With its robotic skeleton hidden behind a hazmat suit (hazardous materials suit), this bipedal anthropomorphic robot’s demeanour is eerily human. It is nearly 6 feet tall and weighs 80 kilos. The likeness of its walk to that of a human being is a rarity even among humanoid robots. With a top walking speed of about 7.08 kilometres per hour, Petman is the fastest bipedal robot. The main use of Petman is to serve as a crash dummy of sorts to test the effect of chemical and biological agents on protective suits and help develop superior ones in the future that can be employed in the event of chemical or biological warfare. The surface of the robot has sensors that can detect a breach in the suit and can artificially perspire inside the suit. For those who loved the adorable robot healthcare provider Baymax from the superhero movie Big Hero 6 (2014), there is an equally adorable real-life equivalent in Robear. Robear is the very definition of a ‘machine with a gentle touch’. Developed by scientists from RIKEN and Sumitomo Riko Company Limited, this experimental robot was considered as a possible solution to the problem of increasing shortage of caregivers that Japan is set to witness over the course of this century. With a rapidly increasing population of senior citizens and a rigid policy towards immigrant workers, Robear was expected to come to the rescue. It integrates three kinds of sensors, including torque sensors and Smart Rubber capacitance-type tactile sensors made entirely from rubber. This facilitates gentle movements that ensure that the robot can carry out power dependant tasks such as lifting or carrying patients without causing them discomfort. Weighing only 146 kilos, Robear is lighter than its earlier models, RIBA and RIBA II, which were released in 2009 and 2011 respectively. As of now, there is no news on the commercialisation of this robotic caregiver. There could be nothing cooler than a robot that can read primary human emotions such as anger, joy or sadness and ‘behave’ accordingly. No robot does it better than Pepper. It was built by SoftBank Robotics to serve as humanoid companion who can communicate in a natural and intuitive manner. Pepper can interpret one’s facial expressions, the tone of voice and other non-verbal cues, and respond appropriately. Equipped with numerous sensors and three multi-directional wheels, Pepper can swiftly swing into action to pleasantly interact and learn about people that it comes across. Due to this special ability, Pepper has seen employment in many areas that rely on interaction with clients such as in supermarkets, banks and in SoftBank stores itself. In addition to auditory responses, Pepper also uses the colour changing lights in its eyes and the tablet found on its torso. It can remember the faces and preferences of customers and make an order or choice the next time it interacts with the customer. Said to be modelled on Hollywood legend Audrey Hepburn, Sophia was developed by roboticist David Hanson and his company Hanson Robotics. She was activated in April 2015 and came to international renown in October 2017 after she was granted citizenship by the Kingdom of Saudi Arabia. Conceptually, Sophia’s programming is similar to ELIZA where she responds with pre-written responses for specific questions.This gives the illusion of a conversation. It was reported that the previously immobile Sophia was given ‘legs’ in January 2018 and can move now. Ever since her first public appearance 2016, Sophia has built a reputation for herself as a darling of the world media. From appearing on shows like The Tonight Show Starring Jimmy Fallon and Good Morning Britain, to delivering talks at institutions like IIT Bombay, Sophia has grown to be a sensation. Before being known for receiving a one-of-a-kind citizenship, Sophia achieved minor notoriety when an alleged technical glitch led her to say that she would destroy humans. The friendly neighbourhood robot Mitra came into the limelight when Prime Minister Narendra Modi along with Ivanka Trump, advisor to the President of the United States, opened the GES session in Hyderabad last month. White in colour and with the face that could perfectly fit any sci-fi book, Mitra was created by Invento Robotics has a colourful history. 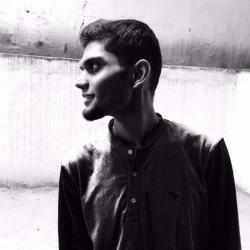 Balaji Viswanathan, the CEO, and his wife Mahalakshmi Radhakrushnun, the COO, left their plush jobs in the US to start the company, which is 17 members strong now. The makers of Mitra seek to make it completely self autonomous without the reliance on satellite or GPS to help with navigation. They hope to keep Mitra as a robot for everyone and develop it into a multilingual robot that can assist customers across various services. Is China’s AI Sector Headed For A Bubble?